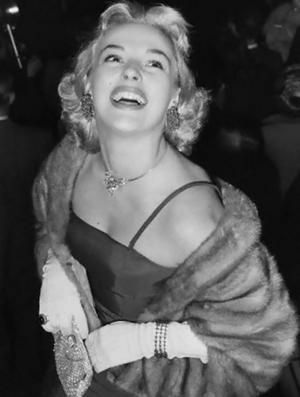 Like so many blonde actresses during the 1950s, Adams was unfairly billed as the next Marilyn Monroe. 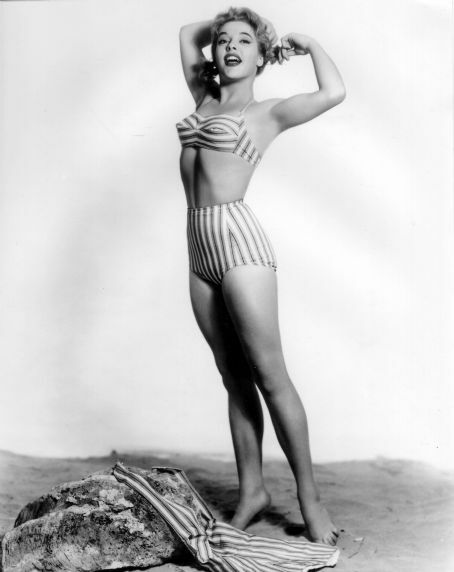 A super comedy actress in her own right, she was discovered by Albert R. Broccoli. 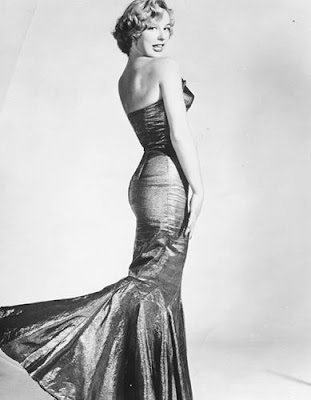 The producer behind James Bond films very wisely picked her out of 200 models to be an extra in The Black Knight (1954). 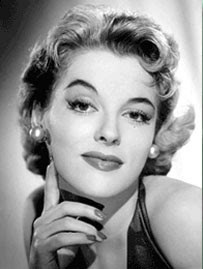 Adams quickly made a handful of appearances, including Doctor at Sea (1955) where she is plied with drink by the caddish Sub-lieutenant Trail. Thankfully, a gallant Dirk Bogarde gets her safely to her room. 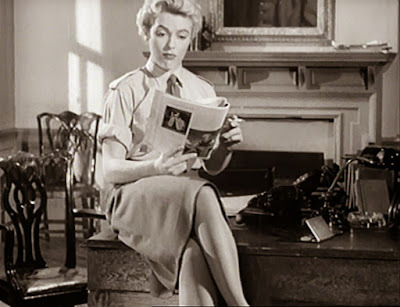 The following year, Adams was recruited to the Boulting Brothers classic, Private's Progress (1956). I rather fancy I could watch her reading all day. For me, it was in The Green Man (1956) where Adams absolutely steals the show. Starring alongside George Cole, their two characters try to foil the assignation of a government minister. Believe it or not, it was a crucial plot device that meant Adams was prancing around her bedroom in just her underwear. 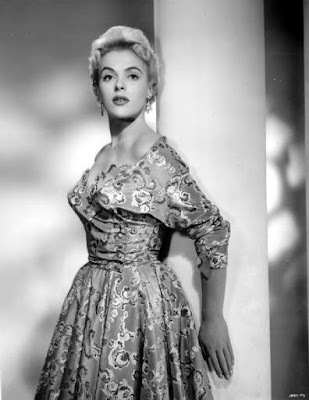 George Cole. What a lucky devil. With her career continuing to receive a leg up from the Boulting Brothers, Adams then revealed a shapely calf in the wonderful British comedy Brothers in Law (1957). 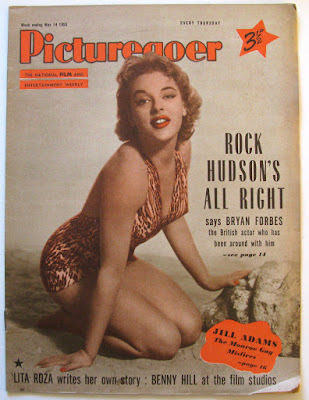 Teaming up once again with the Private's Progress cast, Adams was the object of desire for Attenborough and Carmichael. In case you haven't watched it, or have simply forgotten the ending, I'll leave it for you to find out who gets the girl. 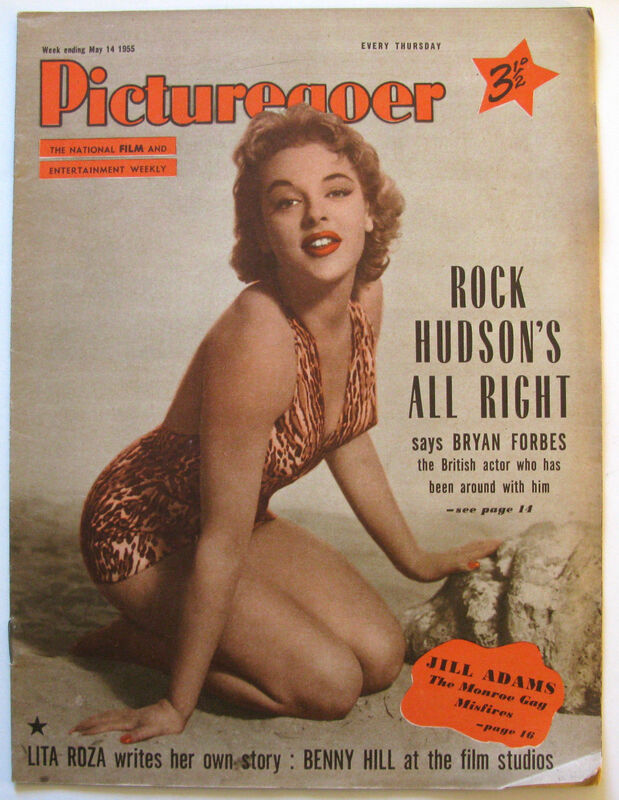 When Jill Adams wasn't starring in classic British films, she appeared twice on the cover of Picturegoer magazine. So, the next time you settle down for an old film on a wet Sunday afternoon, complete with a pot of tea and perhaps a slice of rich fruitcake, you too may be treated by an appearance by the sweetly seductive Jill Adams.